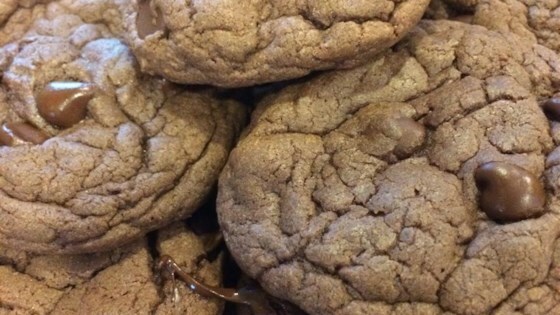 "This recipe is so easy to make, and yields delicious chocolaty cookies." In a medium bowl, stir together the cake mix, eggs and oil until well blended. Fold in the chocolate chips. Roll the dough into walnut sized balls. Place the cookies 2 inches apart on the cookie sheet. I made these cookies about a month ago and they were delicious! I tried making them again and substituting applesauce for oil, and they did not turn out. I made them today........oh my gosh, incredible....so soft and just good.... I added walnuts too....oh yes!